Our dear ginger-locked Prince Harry and lovely American wife Meghan, Duchess of Sussex (and former Suits actor, then more commonly known as Meghan Markle, lest you had forgotten so quickly from whence she came), are reportedly designing a gender-neutral nursery at their new-old digs at Frogmore. Frogmore Cottage in Windsor is a gift to the couple from Harry’s granny, Queen Elizabeth II, and the estate is currently undergoing a £3 million renovation — which will include a fabulous nursery, natch. And a playroom. And a yoga studio with a springboard floor for those extra-tricky moves. And don’t forget the spare bedroom for the new prince’s or princess’s maternal grandmother, Doria Ragland. That’s right; they are not planning to have a nanny — just going to rely on Granny Doria for a bit. Maybe a long, long bit. Babies are trickier than royal pups, after all. Vanity Fair reports that sources on the inside loop say the couple has decided on a gray-and-white nursery palette. Meghan has also apparently been Pinterest’ing up a storm with nursery decor ideas, including security windows, a badass stereo system for lullabies and top-shelf video cams. The Sun states that the royal pair is using — get this — vegan paint infused with eucalyptus oil. Where has vegan paint infused with eucalyptus oil been all our lives? The Sun also says there will be a “£50,000 energy-efficient boiler.” Dang. You gotta spend money to save money, right? Old English proverb, surely. Who’s paying, you may be asking? Um, how about a round of applause for the tax-paying British subjects? If it makes anyone feel better, hey, the Sussexes will be paying for “fixtures and fittings.” Which maybe means they’re covering the chandeliers and the Kohler faucets. 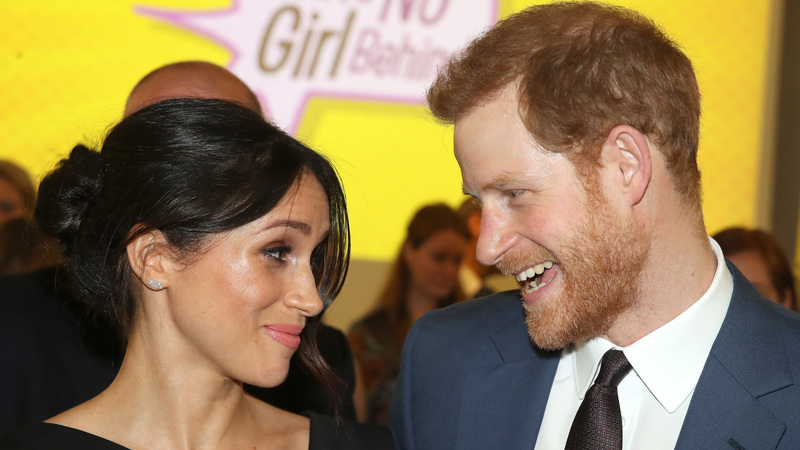 Meghan and Harry are also working with a leading interior designer, Vicky Charles of Soho Farmhouse, to assist with the huge overhaul of Frogmore. (One can assume there will not be frog motifs.) The Sussexes had a wedding registry with Soho Home, one that we are going to search for as soon as this article is finished. Think more way chic than shabby.